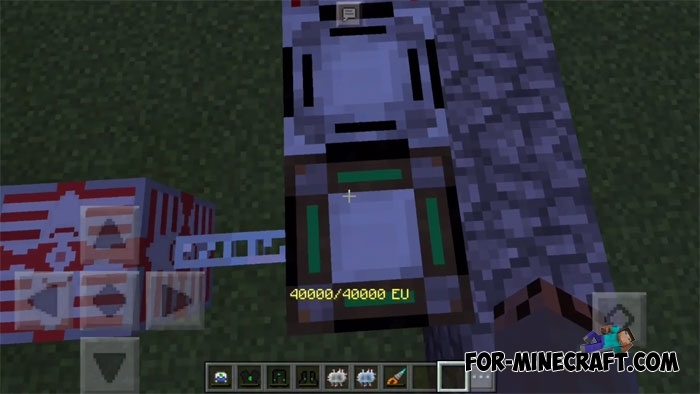 At the moment, Industrial Craft PE is one of the best industrial and technical mods for Minecraft PE and you can easily see it by simply downloading it. IC PE has been updated many times and has even been moved to a new engine, which has increased stability and added many new features. The Charge Pads addon is a small modification specifically for Industrial Craft which allows you to charge items (armor or tools and weapons in inventory) by simply stepping onto the charging pad. Uses the IC2 exp textures. Added improvements for charging pads. You can use the MFSU improvement kit. Attention! Do not open inventory when using the Wide-Band Booster. You no longer need to do anything, just wait until the object is charged and can safely continue your business. This is not the first addon for IC PE, there are many others that are in the mods category on our site. Very good addon! Need more useful addons like this!! !